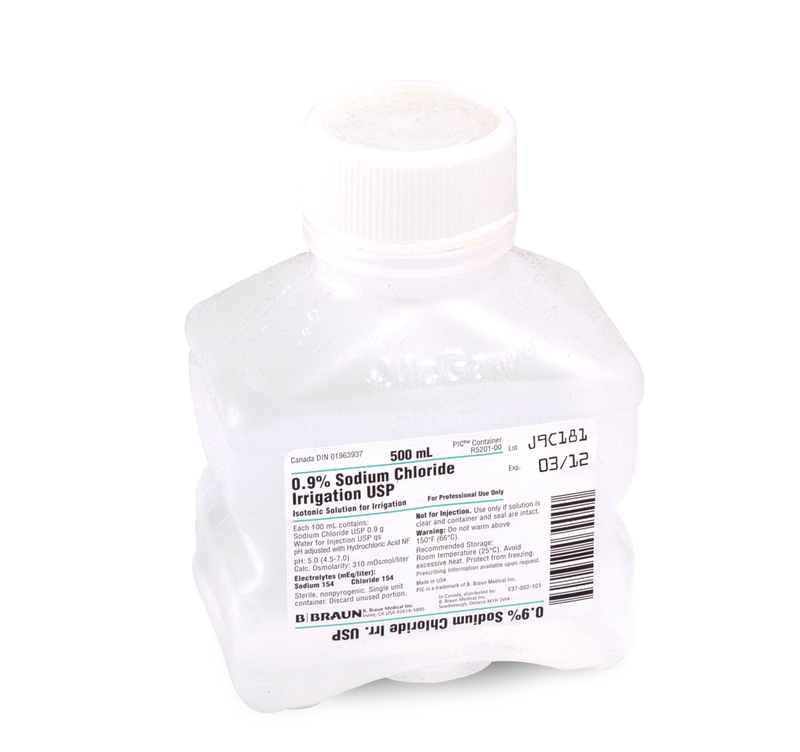 500 ml saline solution on in a hard plastic case. With a resealable cap. Can be use for cleaning wounds or as eye wash.